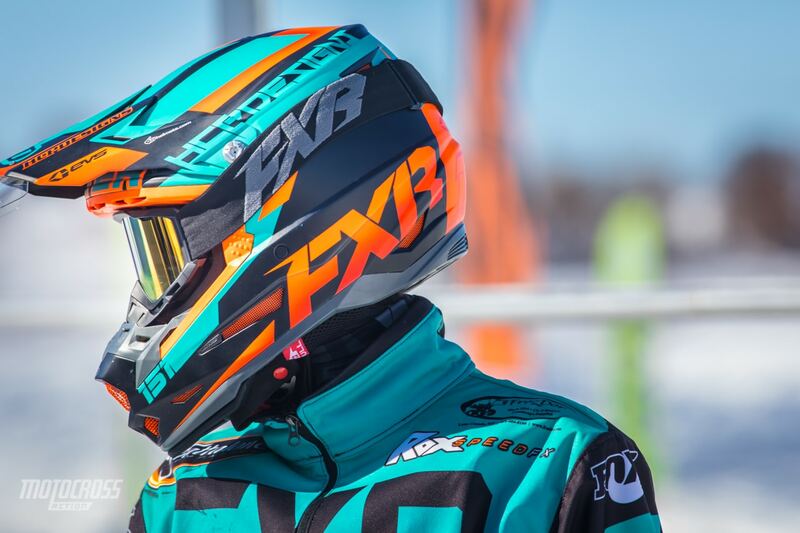 FXR has partnered with 6D helmets for 2020. 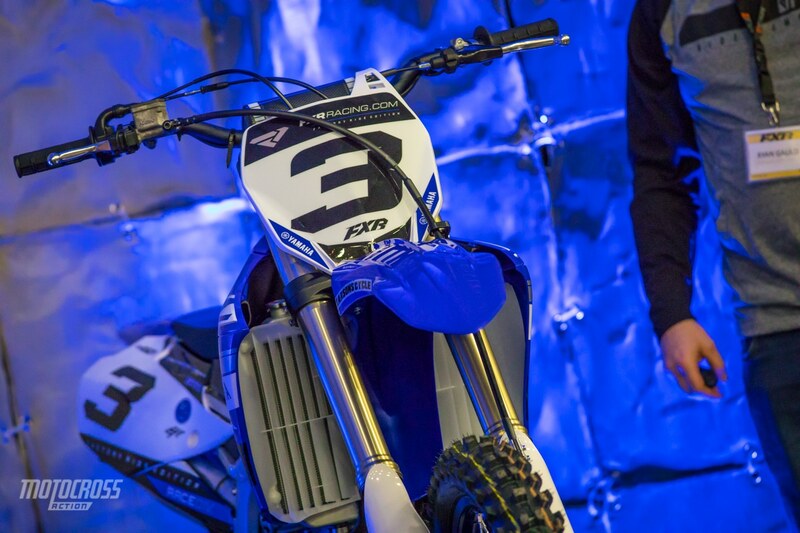 The helmet is the same, it just has FXR graphics on it. 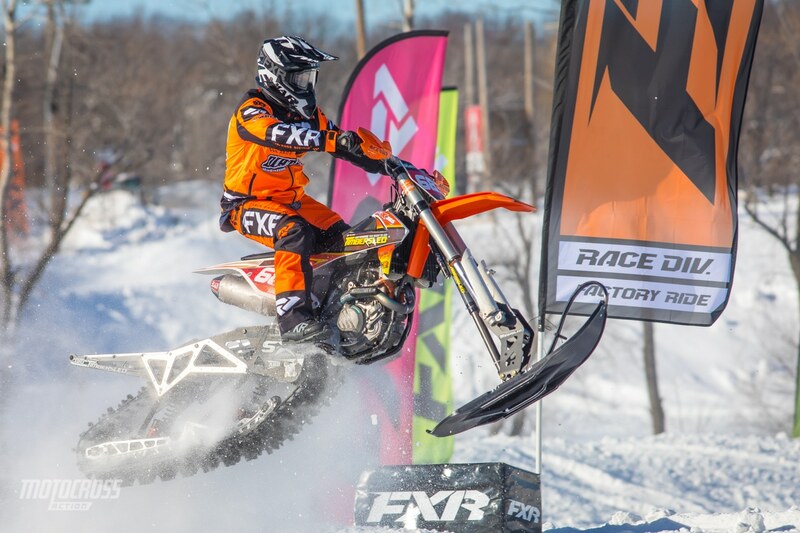 Last week MXA’s Josh Mosiman and Daryl Ecklund head out to freezing Minnesota for the 2020 FXR dealer show. 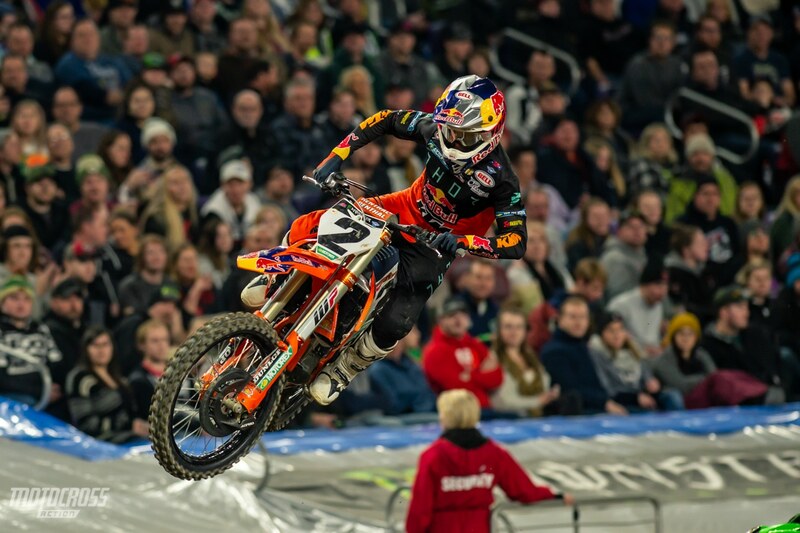 The owner, Milt Reimer and media guy Andy White welcomed us with open arms to get a sneak peak of their 2020 gear (which is embargoed till around June), ride snow bikes and took us to the Minneapolis Supercross. 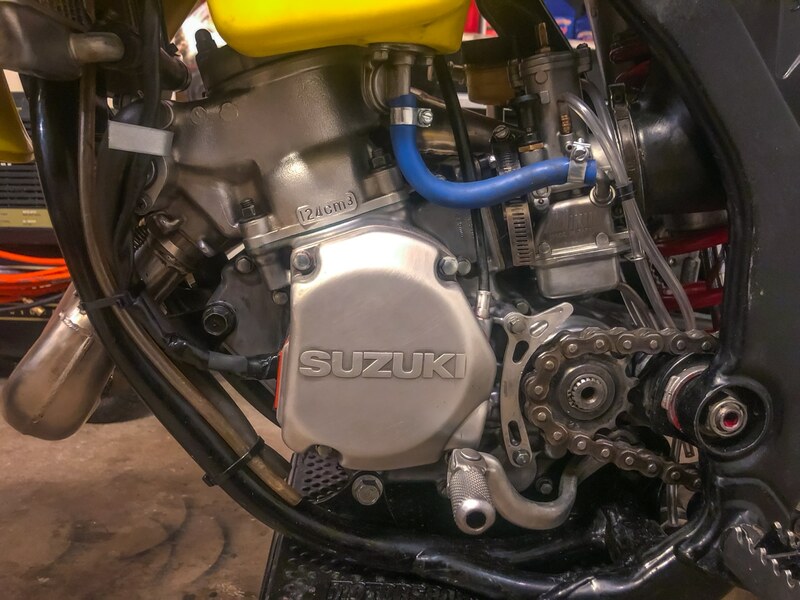 FXR has a lot going on for 2019. 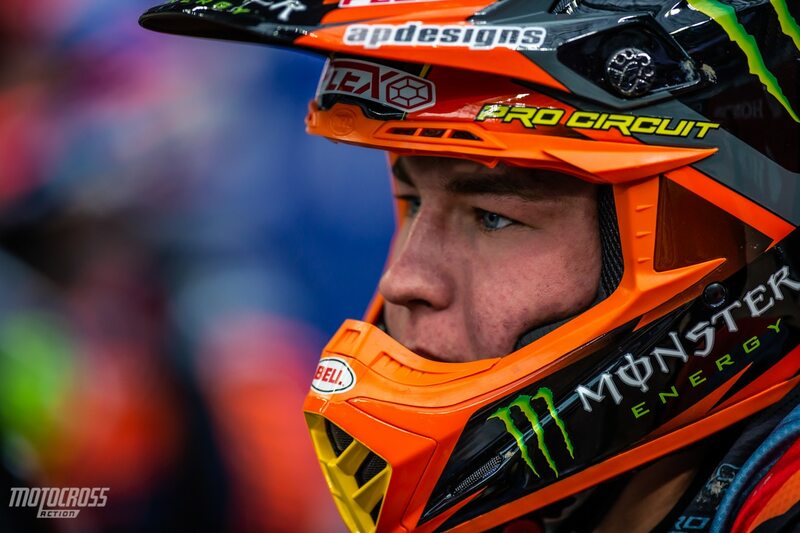 They are partnering up with 6D helmet as well as EKS Brand goggles. 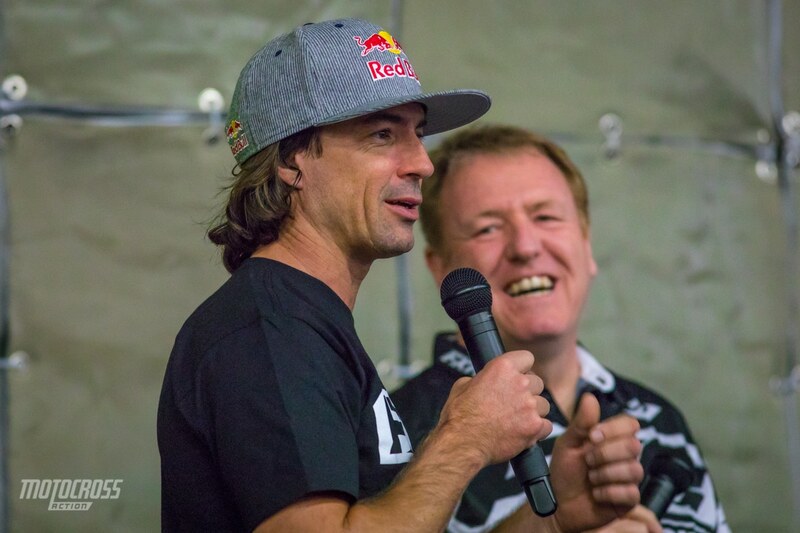 They are also opening up a distribution hub in California and have signed more top level riders to represent them. Here is all that went down. 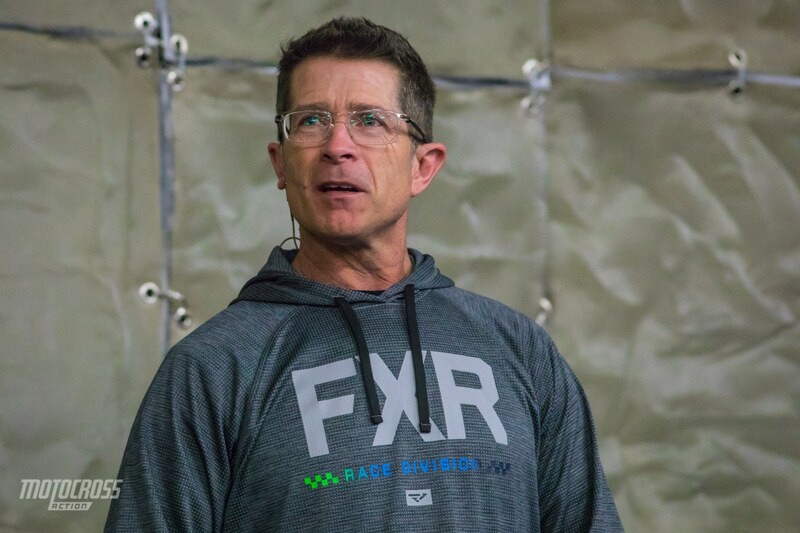 Milt Reimer is the passionate owner of FXR. 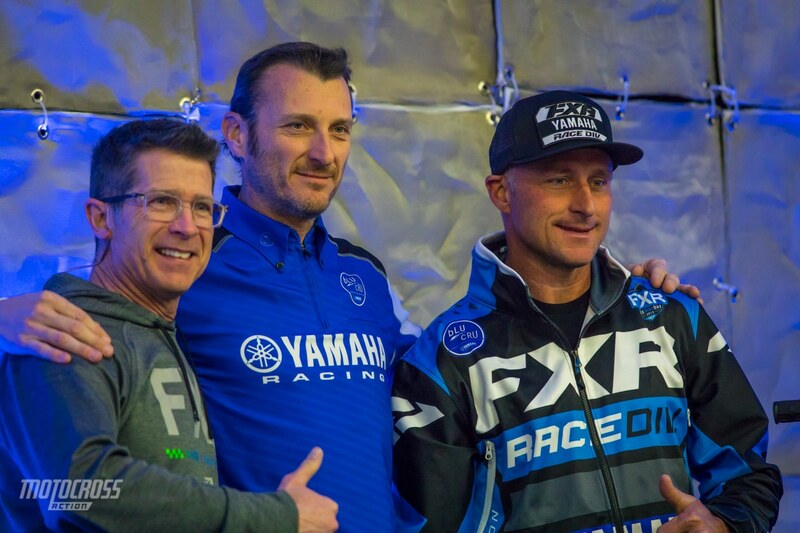 At the FXR dealer show it was announced that Yamaha signed Mike Brown to represent them for 2019. 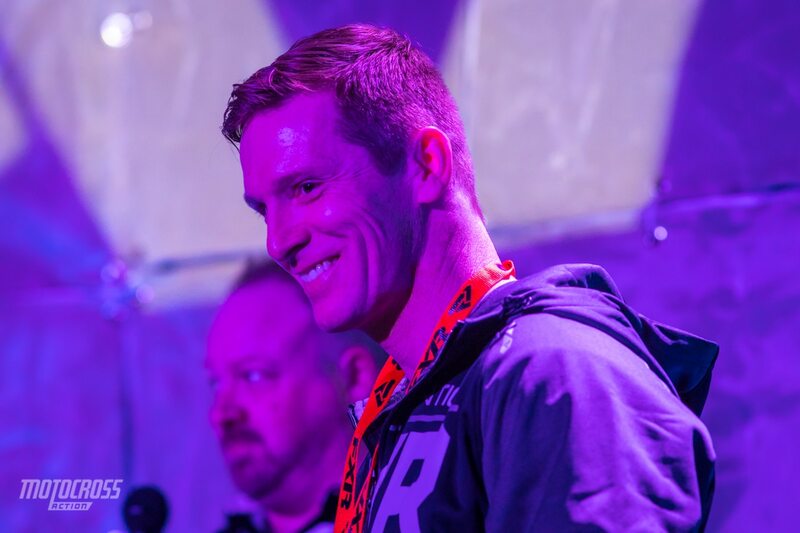 Mike will race some Canadian Nationals and is in talks of some AMA Nationals as well. 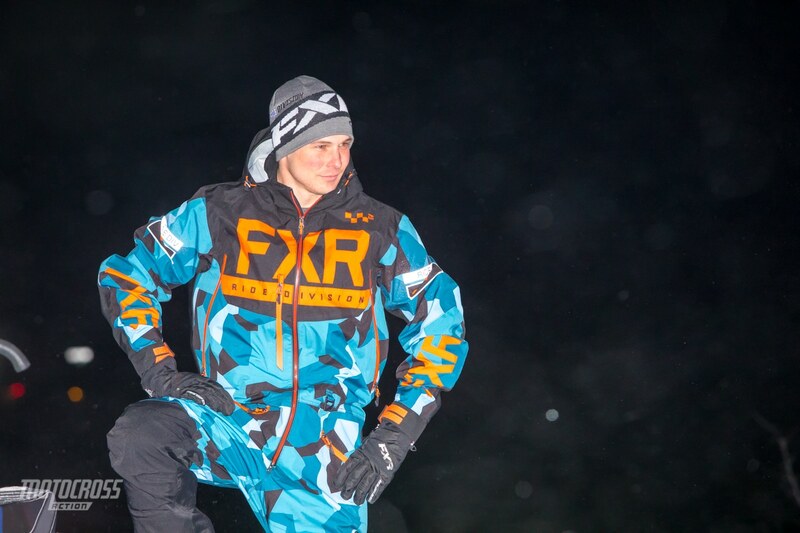 FXR signed Ronnie Renner for 2019-2020. 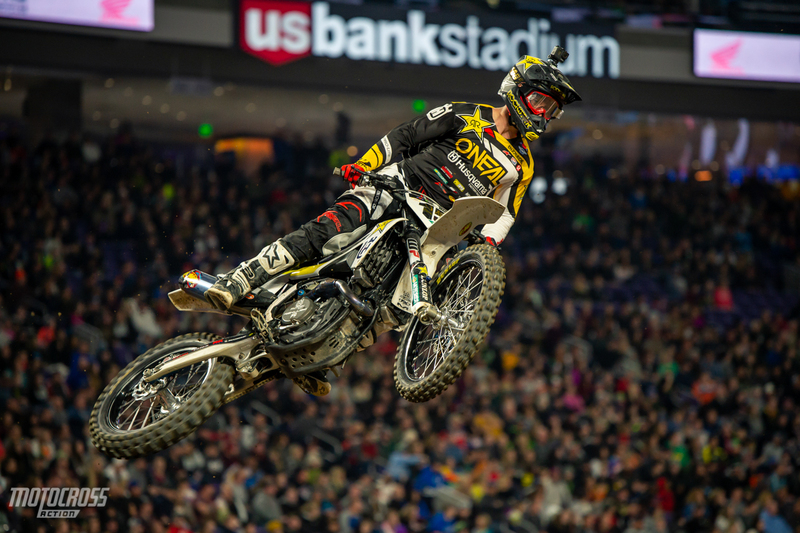 Remember racer Marco Dubé? 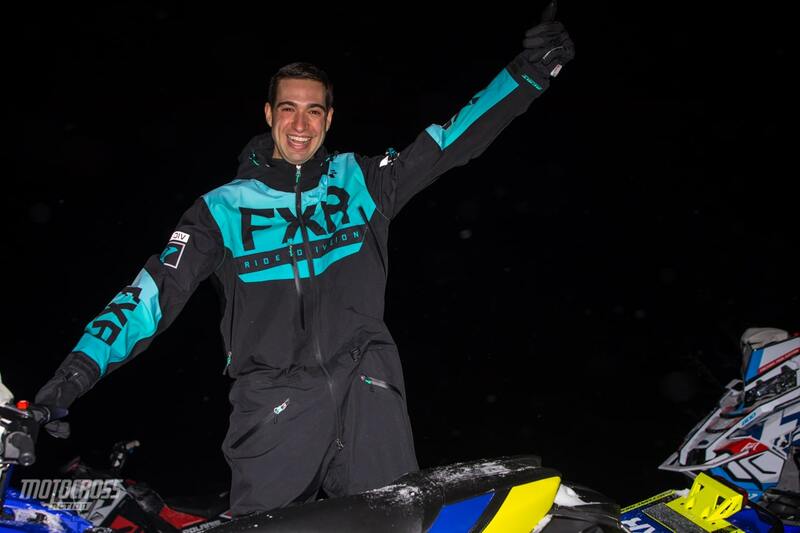 He is now a successful sales rep for FXR in Canada. A the end of the first night FXR had a fashion show with some of their athletes and a few Viking football cheerleaders. 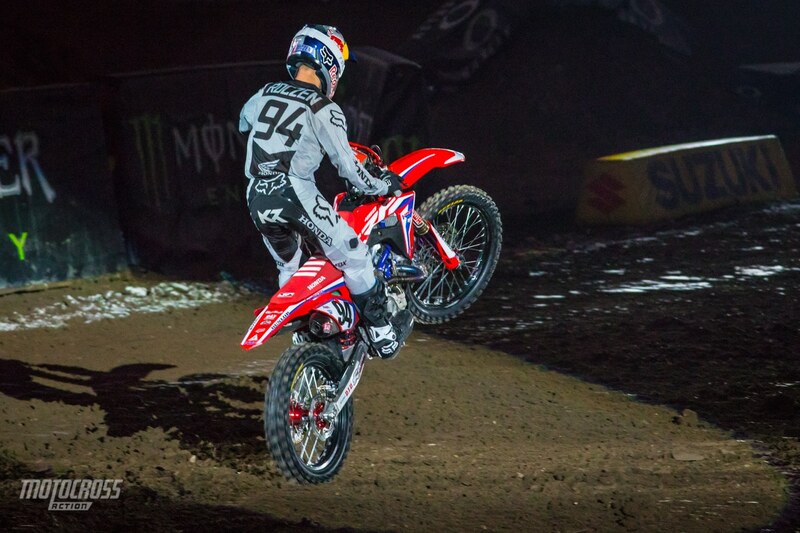 Here is Brock Hoyer posing for the camera. One of the many models dressed for the sub-zero temperature. This guy likes to freeze. 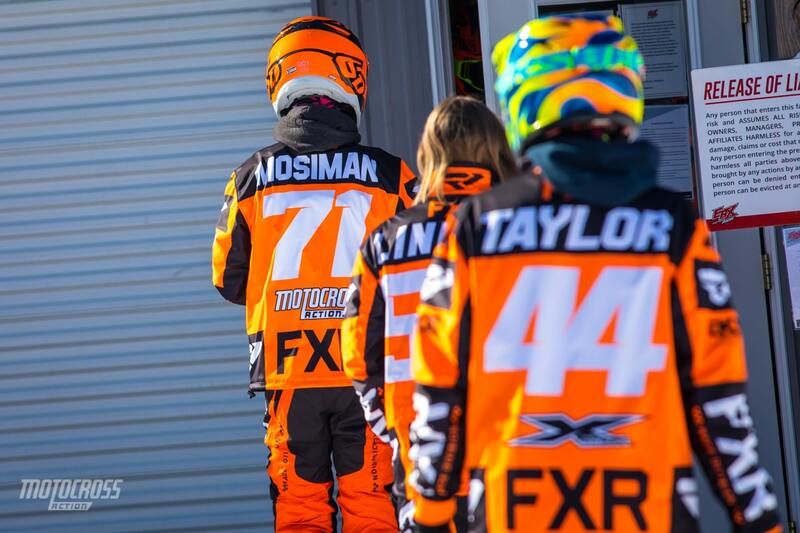 Phil Nicoletti is riding for FXR up in Canada. 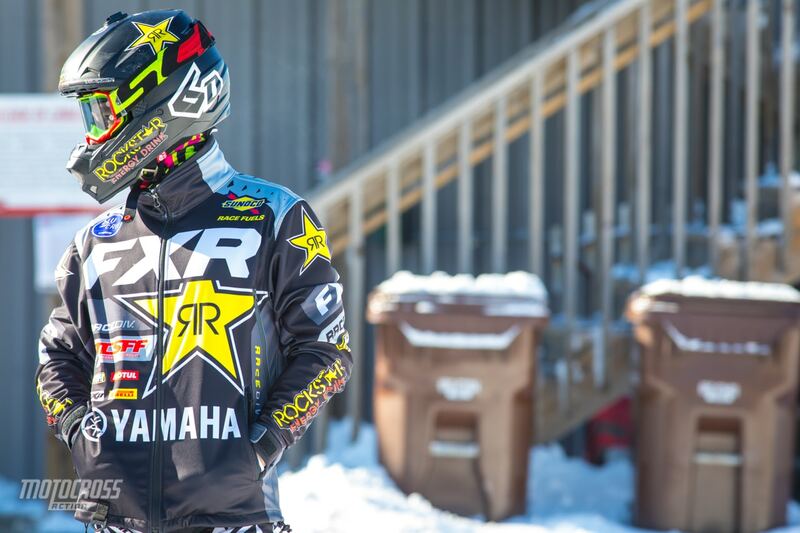 Phil’s snow bike broke a chain and landed on his head breaking his visor. He was okay. 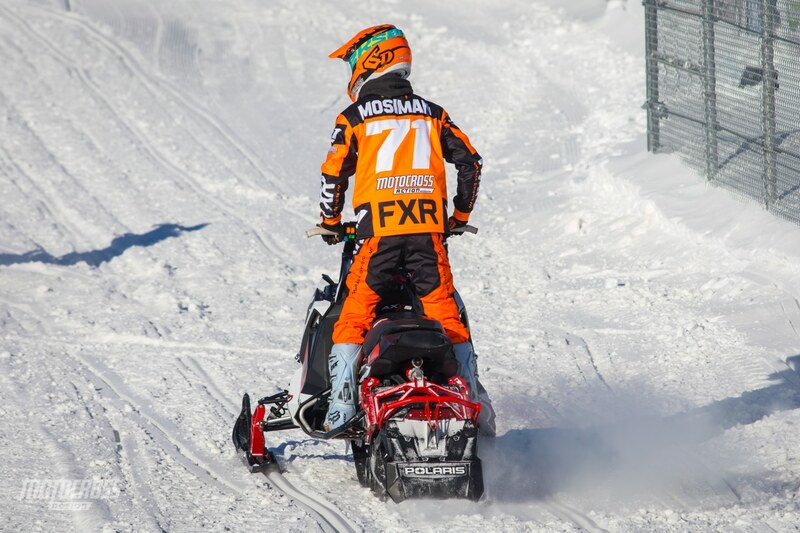 It was Josh Mosiman’s first time riding snow bikes. 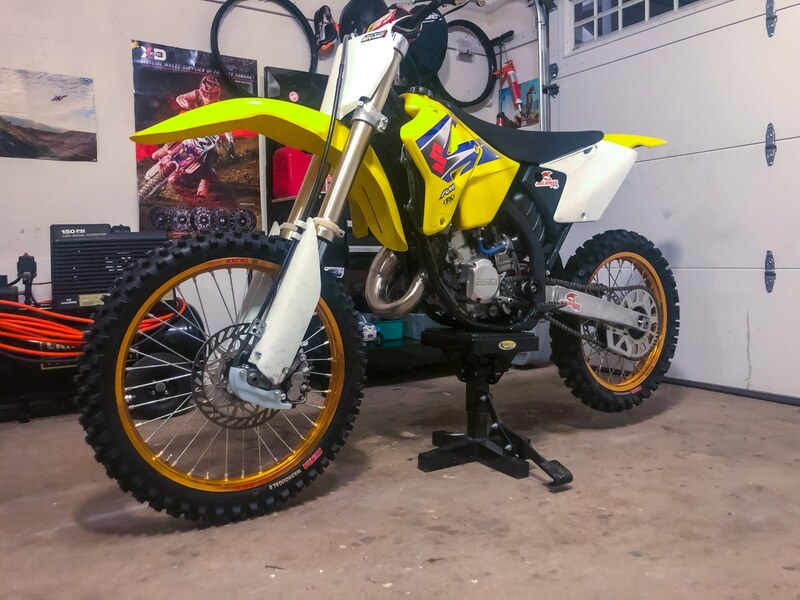 He said it felt like riding a sand track with no front tire. 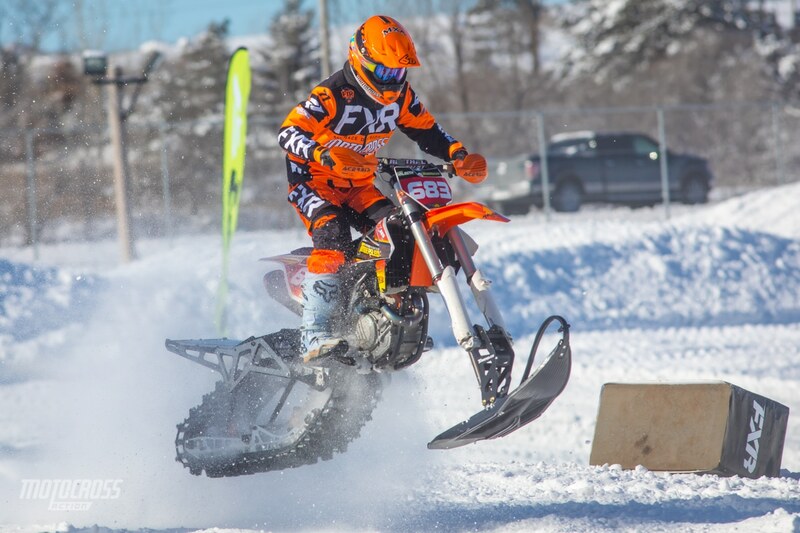 Daryl Ecklund rode a few laps as he has been on snow bikes numerous times. 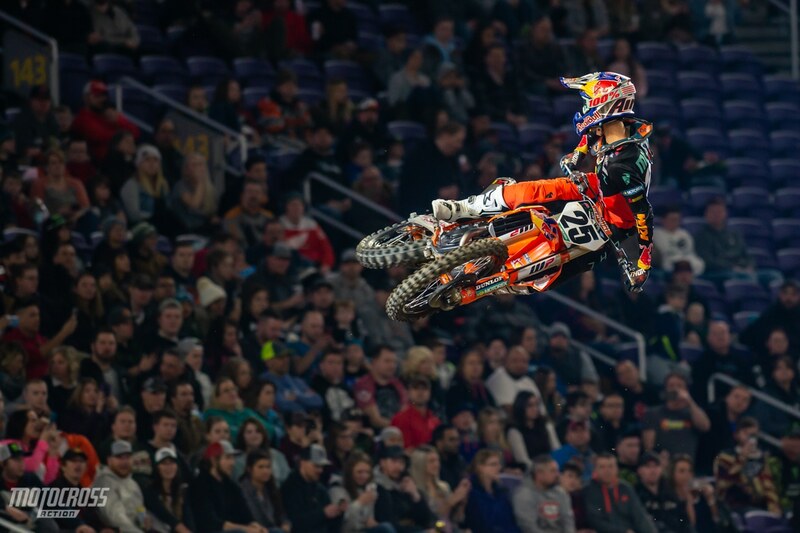 I don’t think you would jump a bike with no front tire, Josh. 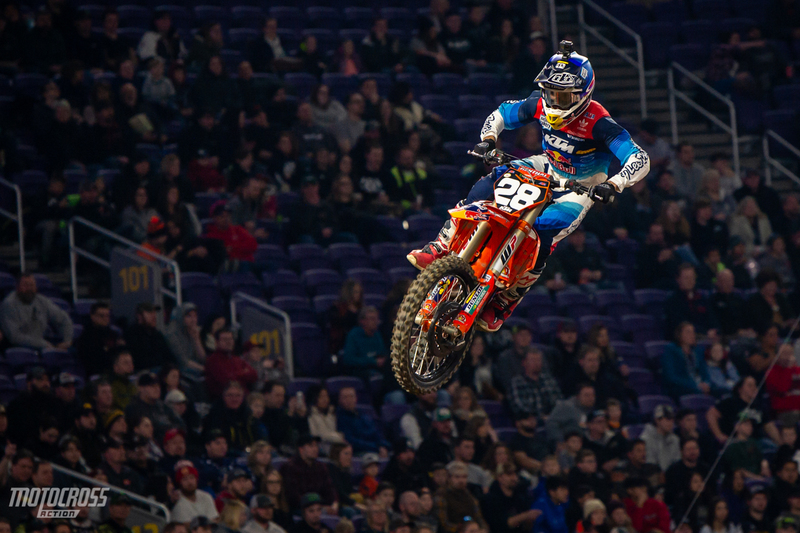 Our video guy, Travis Fant was brave enough to catch some air. 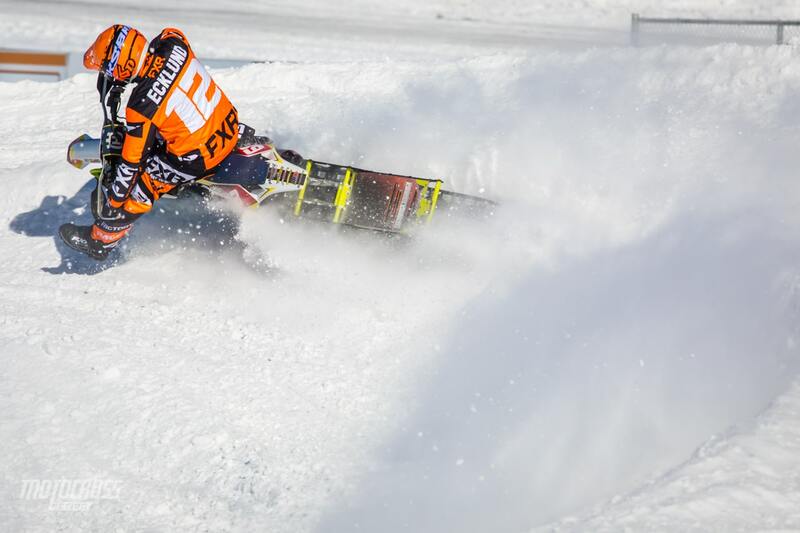 Josh realized that snowmobiles are much harder to ride than snow bikes. 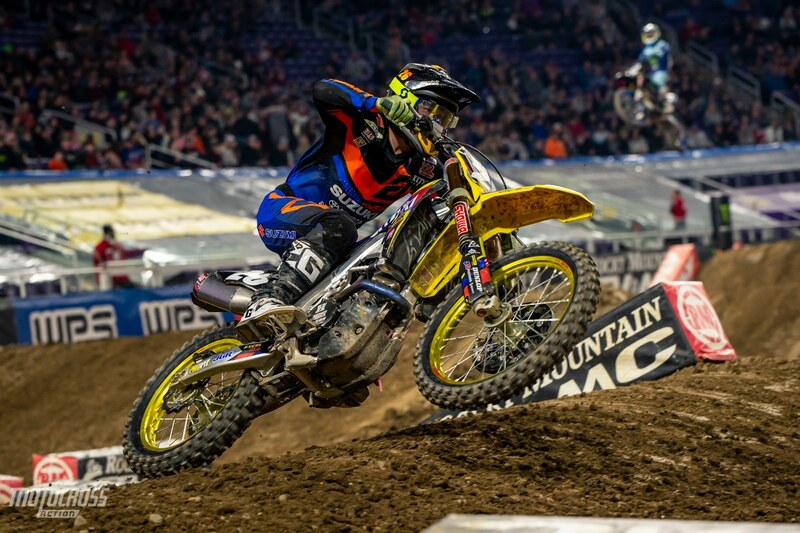 Who is this rider that raced the 2009 New Orleans Supercross? 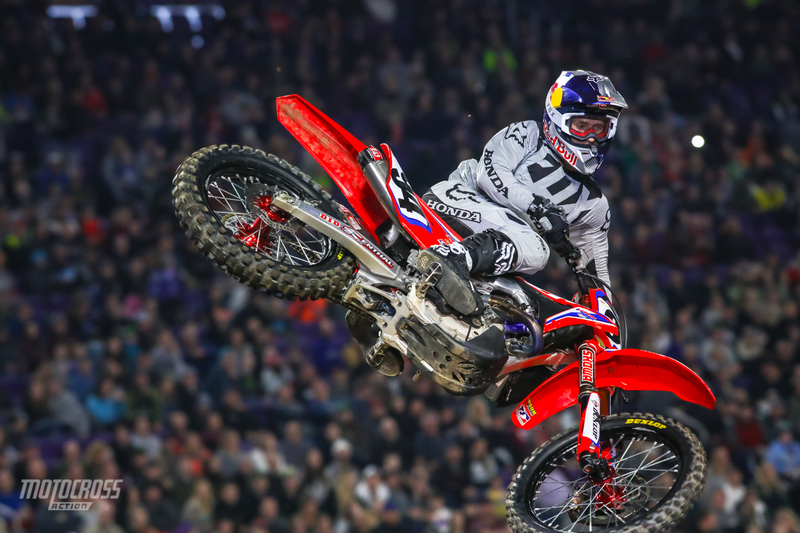 If you subscribed to Motocross Action, the March 2019 issue of MXA would be in your mailbox, computer or iPhone now. 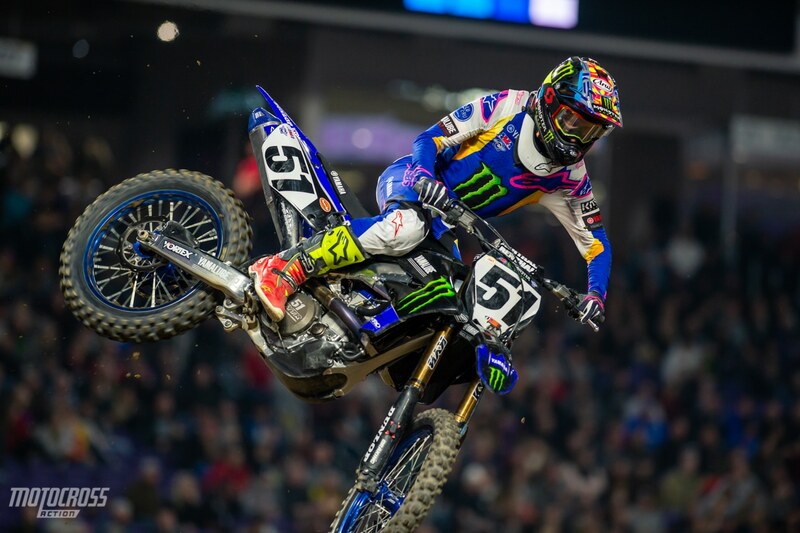 The March issue of MXA is jam-packed with bike tests, product reviews and moto-info. 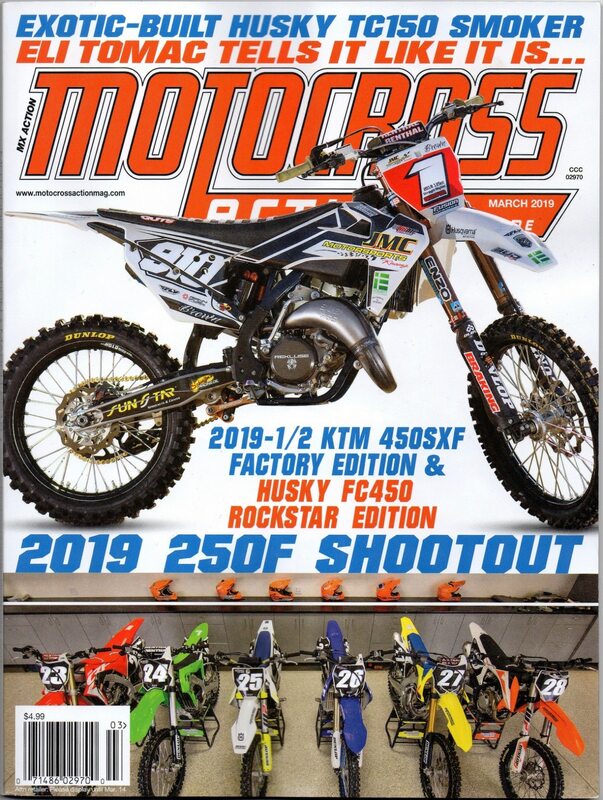 Not only do we have the 2019 MXA 250 Four-Stroke Shootout in this issue, but a 2019 Husqvarna FC350 test, 2019 Yamaha YZ250 two-stroke test, a retro-test of Chad Reed’s 2002 L&M Yamaha YZ450F and a 2019 Honda CRF250 test. 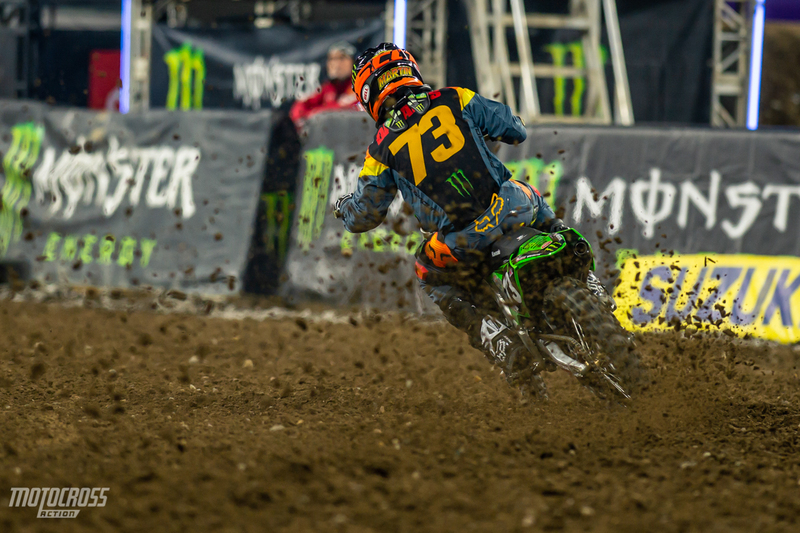 Plus, a test of Carson Brown’s Straight Rhythm winning Husky TC125 two-stroke and Austin Forkner’s 2019 AMA 250 East Supercross KX250 four-stroke. 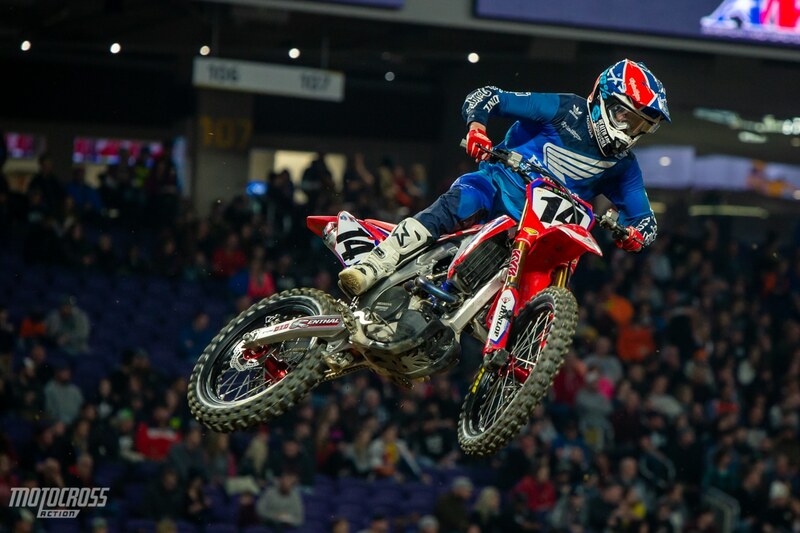 Not to mention an revealing interview with Eli Tomac. 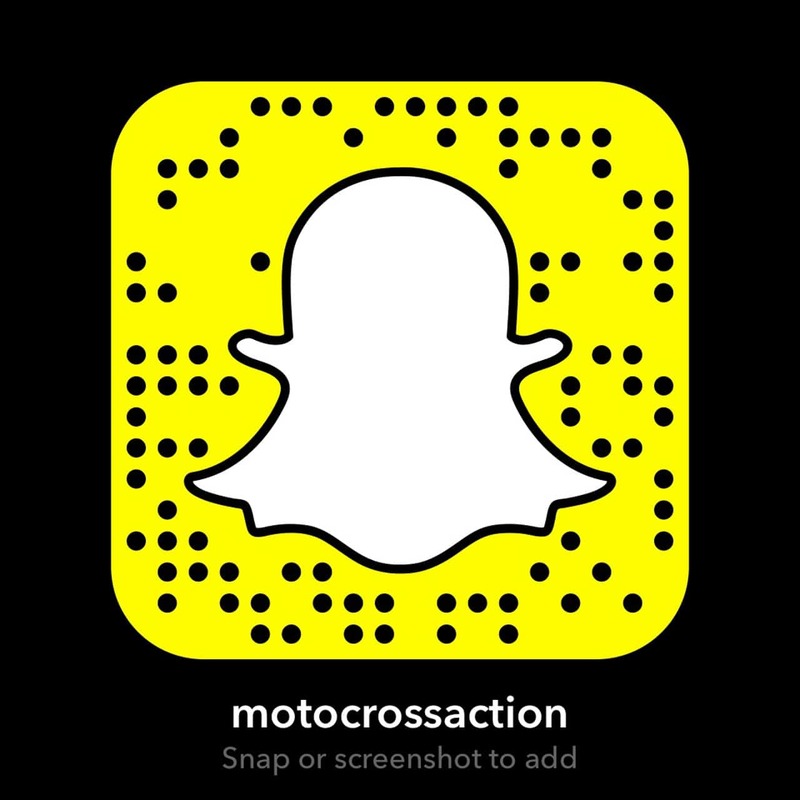 Do you subscribe to MXA? You should. 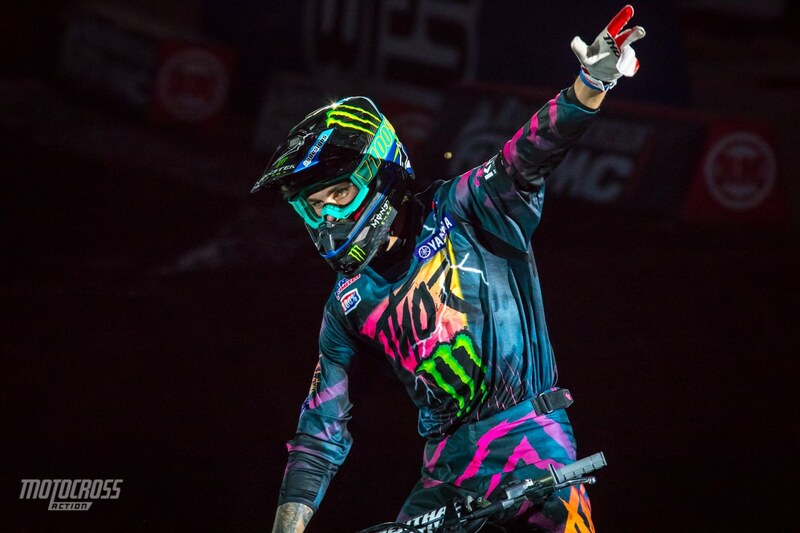 We know that you think that print magazines are dead and that the internet will fill the void, but most of the stuff in the current issue of MXA won’t appear on the web for several months, if at all. 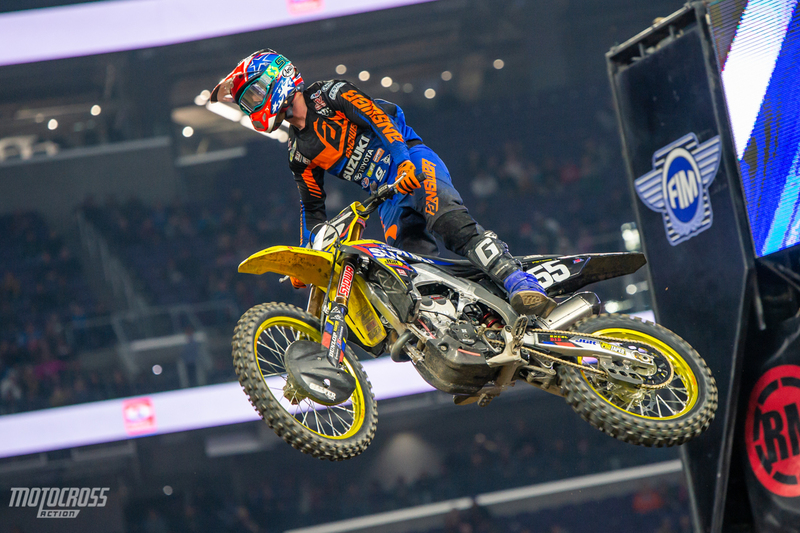 Luckily, you can get all of MXA on your iPhone, iPad, Kindle or Android by going to the Apple Store, Amazon or Google Play or in a digital version. 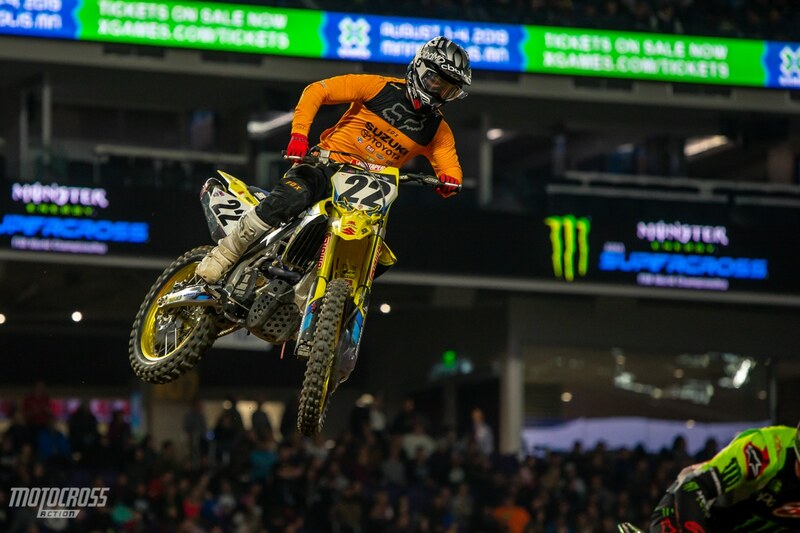 Even better you can subscribe to Motocross Action and get a $25 Chaparral gift card to spend on whatever motorcycle parts or products you need. You can call (800) 767-0345 or CLICK HERE or click on the box at the bottom of this page. 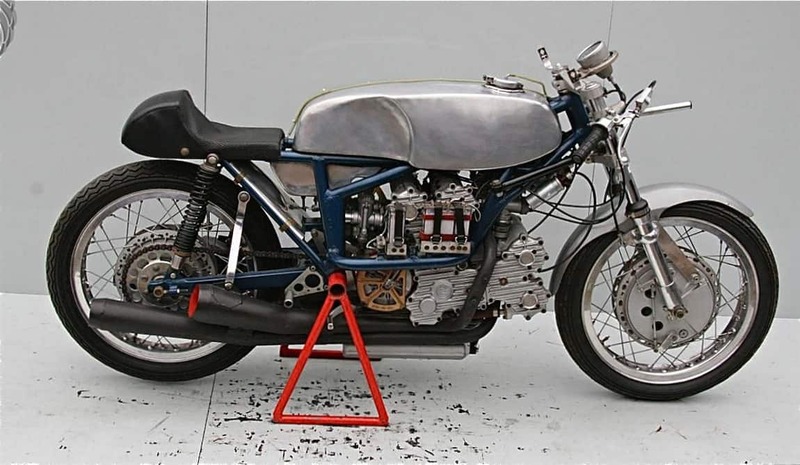 The Type 860 was a 350cc V4 four-stroke road racer that was started in 1965, but not raced until 1969 because of limited communist funding. It was a 350 for several years and was then bumped up to 418cc in 1971. The original eight-speed transmission was dumped when the FIM banned anything with more than six-speeds. It never won a race, but finished second once. The Czech government ordered them destroyed after their racing days were over, but the ever enterprising Czech mechanics saved most of them. 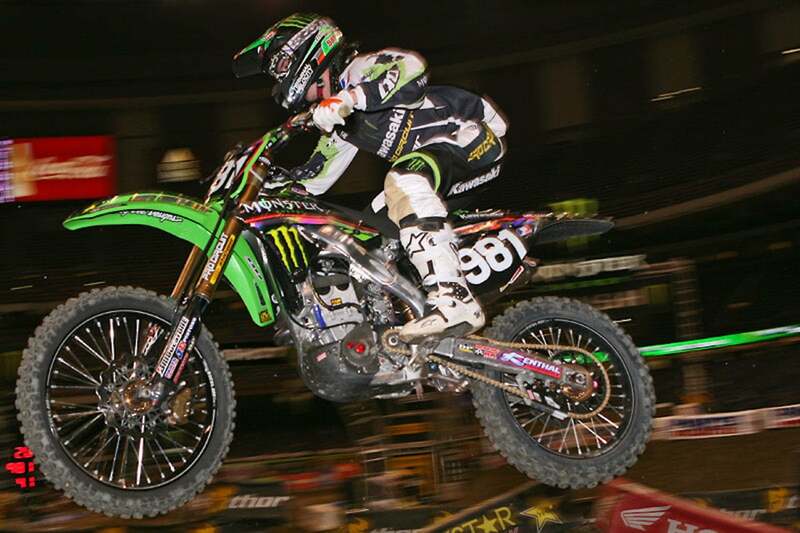 An outdoor National podium back in 2005 with Ricky Carmichael, Kevin Windham and Chad Reed. 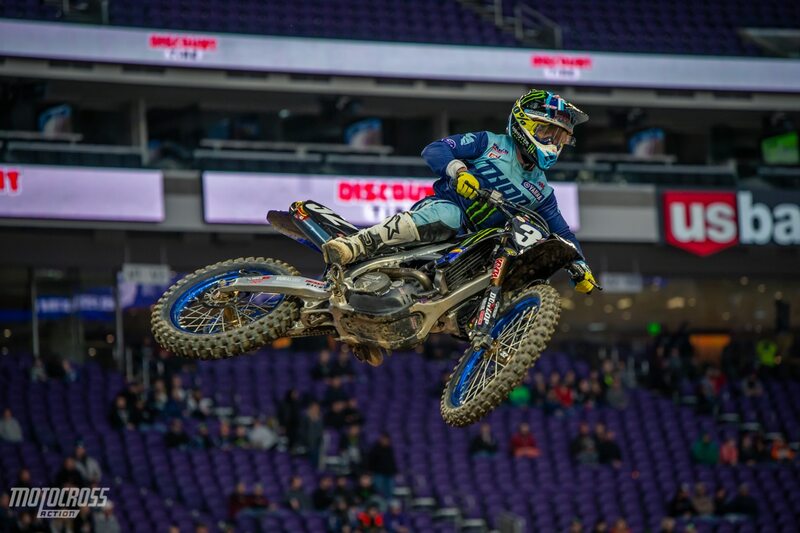 Moto Trivia answer: Austin Stroupe.